Read our profile of Hugh to learn more. companies do business. Read our profile of Hugh to learn more. Nobody knows where the next big thing will come from. But you increase your chances of finding it by not being afraid to think big and let your freak flag fly. Sure, Microsoft loves their own devices. But they love upgrading other people’s hardware, too. Connect any piece of metal, silicon and glass to the cloud and it gets more powerful. So does its owner. Software is the water we all swim in. It’s how atoms become something more than atoms. How noise becomes signal. How data becomes information. And it’s how devices talk to each other and the world beyond. Microsoft has a unique combination of ambition, audacity and resources. When your potential customers are every woman, man and child on the planet, you have to dream big. Everything in your life needs to be free to roam, not just the phone you carry. Content, state, presence, preferences, relationships, and context; all need to be as fluid as the people who depend on them. Playing not to lose means building an island around what already exists. Playing to win means looking around to see what isn’t possible yet, and then making it possible. It’s nice to be playing to win again. Technology, like all human creations, exists to amplify our abilities, express our ideas and extend our reach. So if you think about it, what Microsoft really does is build tools that enhance the very capabilities that make us human. 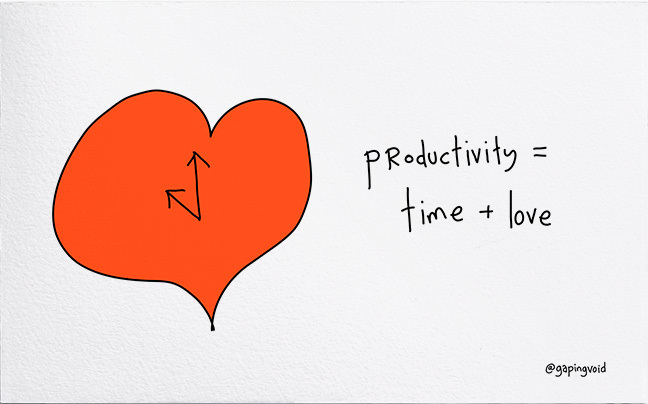 Productivity’s greatest gift is the freedom to move minutes from things we must do to things we love to do. For all of human history, the inability to understand one another has been the most costly barrier to fulfilling our full potential. And now tools like Skype Translator are eliminating that barrier. Generation to generation, country to country, human to human. No problem. Microsoft can turn “no way” into “of course” in a matter of years. The endless ability of humans to adapt to a new normal helps drive us all to keep pushing for what’s next. The only people who can ask the big questions like “What if?” and “Where next?” are those who aren’t afraid of the answers. Freedom to fail is the ticket price for a chance at success. 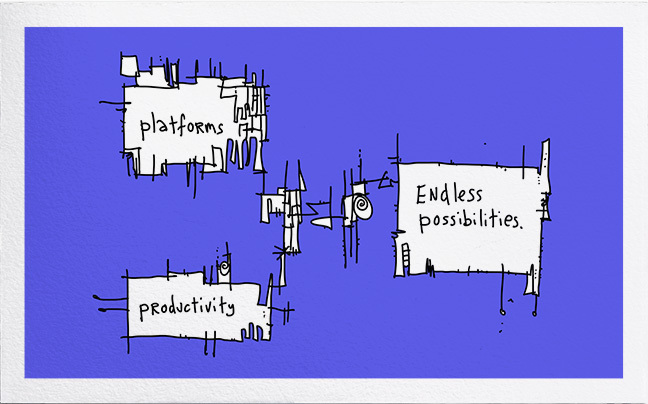 Tools that make us productive + platforms that help us explore = progress & possibilities. Today, moving to a hot new neighborhood is all about having the right IP address, not the right street address. When your job is in the cloud, your body can be anywhere. Sherry Turkle was right. Being connected to one another is only the first step toward a greater goal: Having the conversations that matter. After World War 2 ended, Winston Churchill predicted that “The empires of the future will be empires of the mind.” The true security of nations will come not from kings, armies and conquest, but from our intellect and its creations. Microsoft is a bunch of nerds who rally around the audacious idea that putting tons of power into the hands of billions of people is the best way to change the world.